Welcome to Auburn RV Park at Leisuretime Campground. We are the only privately owned RV Park within the city limits of Auburn. We are located on Interstate I-85 Exit 51 and are the area’s easiest on- and off-interstate RV park. We have plenty of large pull thru “Big Rig” sites as well as sites to fit most sizes of RVs. We also offer tent-camping sites. All sites are full hookups with water, sewer, cable, WI-FI, 50amp, 30amp and 20amp services. Men’s and women’s bath houses, heated and cooled; laundry facility, vending area, ice machine, bicycle rentals, and business center on site for your convenience. We offer reasonable nightly, weekly and monthly rates. We also feature pull-thru access to propane and diesel on site. Auburn RV Park at Leisuretime is less than one mile from many area restaurants, including Ruby Tuesdays, McDonalds, Philly Connection, and Pannie George’s Kitchen, a local favorite. We are a great place to use as your base of operations for exploring the Auburn-Opelika area and Auburn University and can offer tours of the area from a lifelong resident’s perspective. If you have business in the area, you will enjoy our business center and high speed data capabilities, copying, faxing etc. We are happy to offer advice and connections to local markets of our partner businesses. If you don’t have a tow vehicle, no worries. We’ll be happy to give you a ride into town or arrange a rental car or taxi service. Attractions within walking distance include a world class Softball Complex, Auburn Links Golf Course is directly across the street www.aotourism.com/Golf, and within biking distance is beautiful 696-acre Chewacla state park, featuring lakes, waterfalls, hiking and biking trails, canoeing, picnicking, and more. Follow the paved, two-mile Charlotte and Curtis Ward bike trail the entire way to the park, perfect for a morning run or biking outing. Auburn is the only city in Alabama to have been awarded and recognized as a “Bicycle Friendly Community” by the League of American Bicyclists. 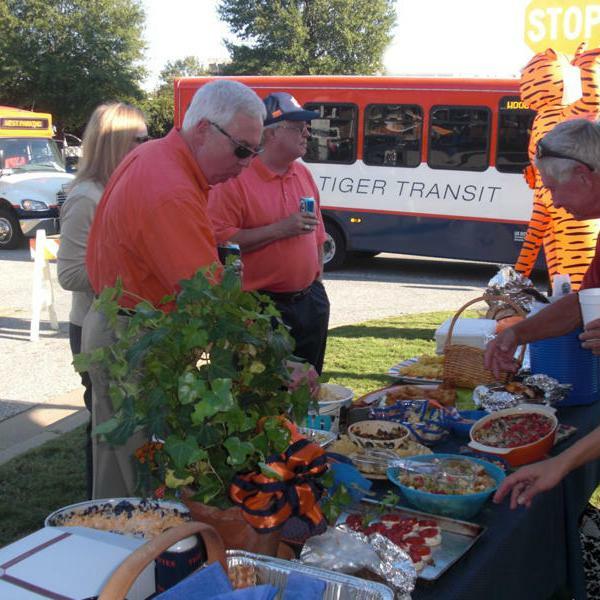 If you are looking for the perfect Auburn RV experience and an incredible place to vacation, look no further! RV parks are the last “small towns” in America and you will love ours. Aerial View of Auburn RV Park.